No knowledge, no technical skill required! . The ultra-sensitive detector is now essential when it comes to identifying transmitters spy. You are buying an ultra-modern professional class, high tech and extremely sensitive. CT SCAN-125 is the latest generation. The responsiveness of the ultra-sensitive detector is 1.2, 2.4 GHz to 5.8 GHz has been improved since his last years and it is comparable with the countless toys-detectors available on the market! 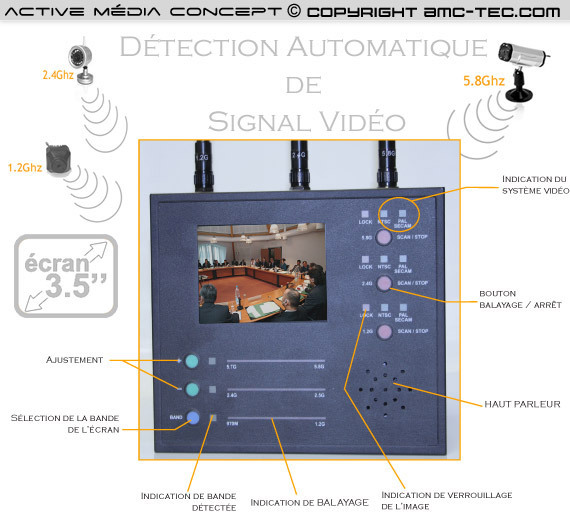 - Offices, shops, cinemas, theaters, concert halls, museums and conference rooms, for effective protection against the introduction video transmitters, without personal examination (controls discrete input possible). - Hospital Facilities, surgeries and intensive care services, for effective protection against wave radio transmitters disruptive. 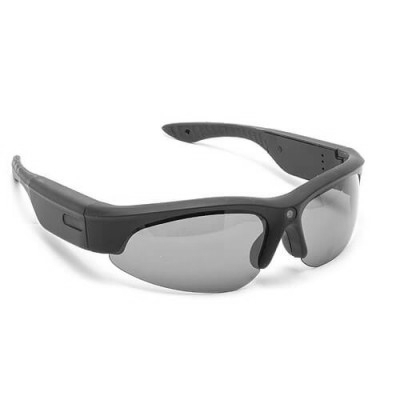 - Police, army and ministries for effective protection against espionage. 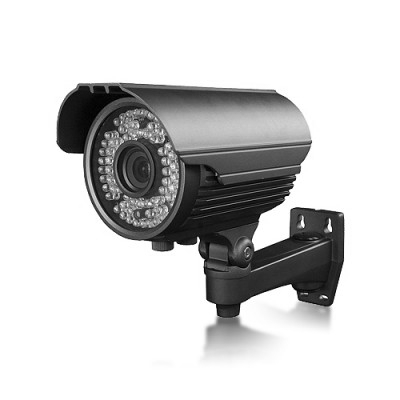 - Offices, restaurants and other commercial premises, where the use of wireless camera is prohibited. 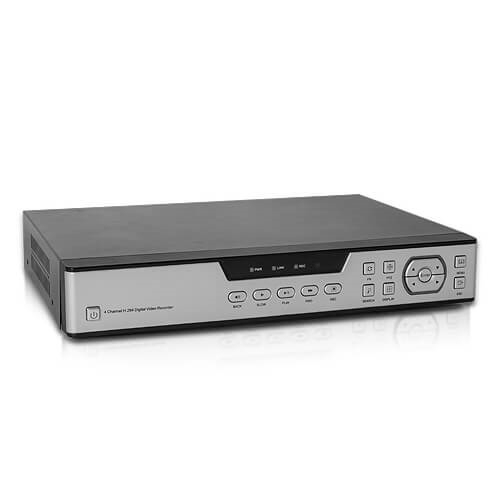 - Find the ideal positioning of video transmitters or wireless network systems. - Detection systems transmitters spy in public toilets, premises security, locker clubs, town halls and institutional venues, hotels. 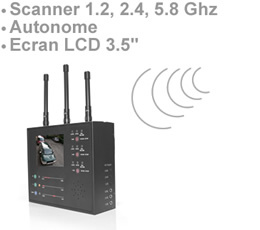 Some important aspects of our detector scanner wireless camera. 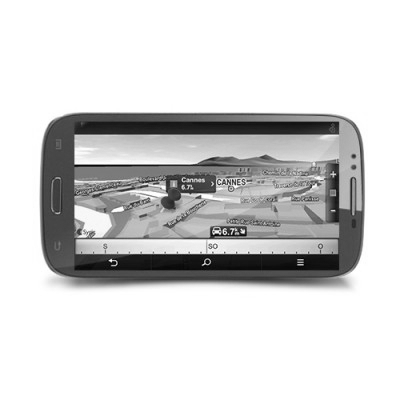 - Give a 3.5 inch TFT color screen high-definition viewing accessible to all. 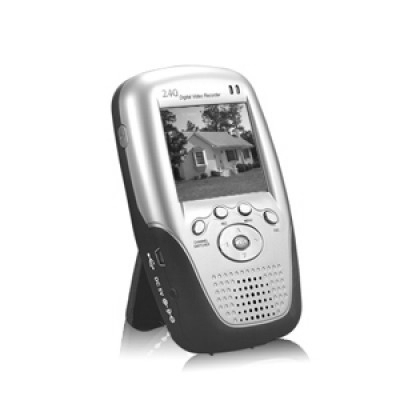 - The scanner wireless camera to a range of about 1 hour. 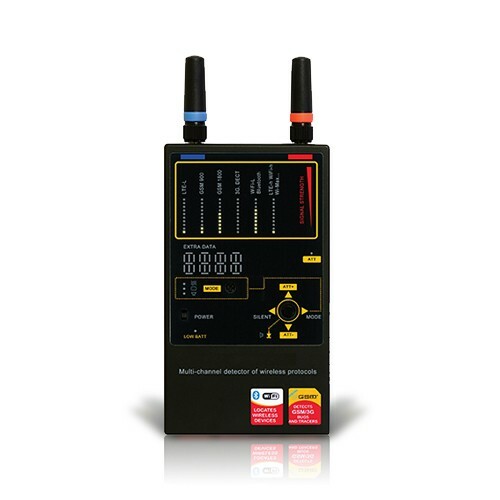 - The wireless frequencies can detect up to 100 meters away without hindrance. 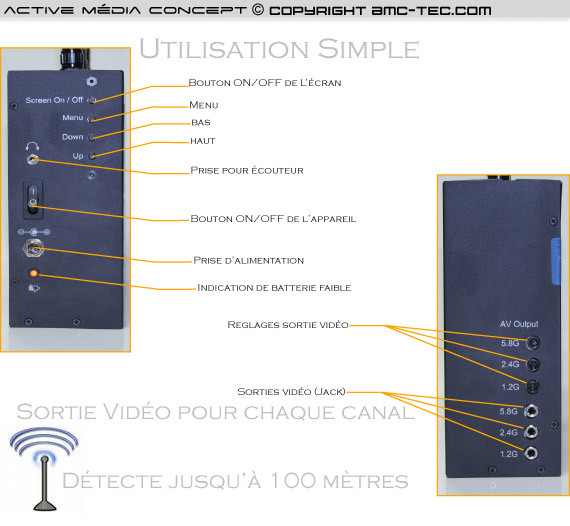 - A quick and simple operation allow you to view your wireless cameras on the screen.